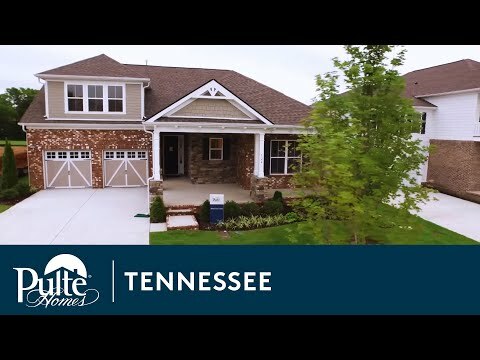 In the single-story Bridgestone, the natural flow from the kitchen to the café, gathering space, and Pulte Planning Center® makes everyday living – and entertaining – easy and effortless. Steps away, through a vestibule entry for added privacy, the Owner’s Suite offers separate vanities and a huge walk-in closet. Step inside Bridgestone to see the luxury design, inspired features and unique details that deliver the lifestyle you deserve. The one-story Bridgestone is known for its large center-island kitchen features luxurious granite countertops and opens onto a spacious gathering room and café. The standard Pulte Planning Center® can be converted into a spacious pantry. Enhance your living space and opt for a second floor loft either with or without a fourth bedroom.